The world of luggage is stuffed full of so much jargon, it can feel like a secret lingo only frequent flyers speak. Spinners? Dopp kits? Travel packs? Mule bags? OK, that last one we invented, but the truth is, there are so many luggage options, we wouldn’t be surprised if “mule bags” were actually a thing. (A carry-on feed bag perhaps?) 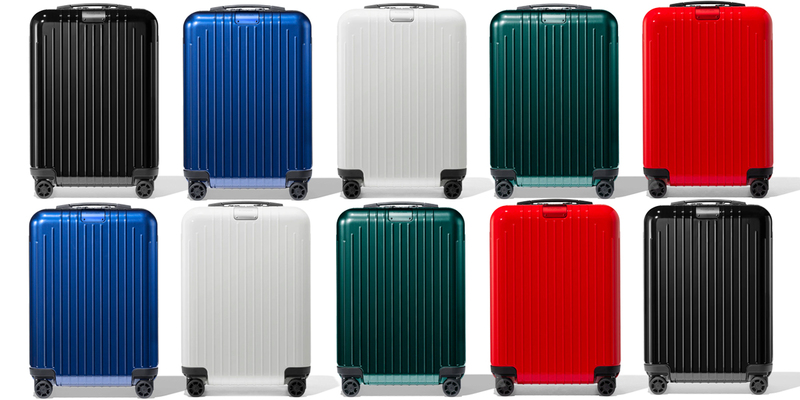 If you’re still trying to get a handle on the proper definitions for different suitcases and bags, let us help. 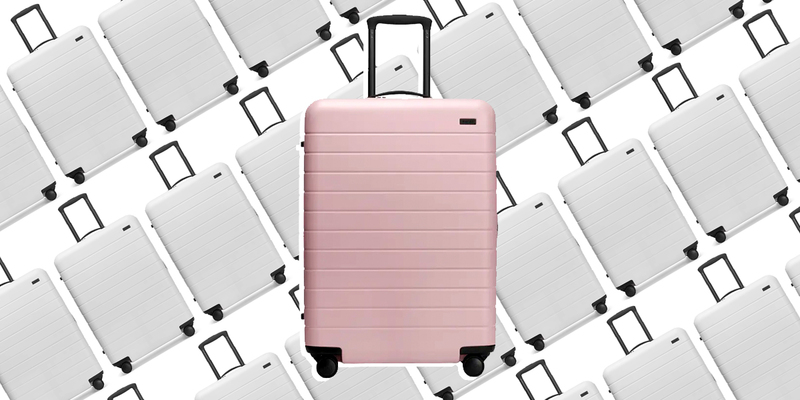 Below we’ve listed 10 common luggage categories with full descriptions for each, plus our tried-and-true picks for every variety. A carry-on bag is built to fit inside the overhead compartment on an airplane, hence the name—it’s the luggage you carry on the plane—though, in reality you’ll probably be rolling it on, bumping a few armrests along the way. (Your “carry-on” bag is not to be confused with your “personal item,” a smaller item like a backpack or purse, which should be small enough to slide under the seat in front of you.) 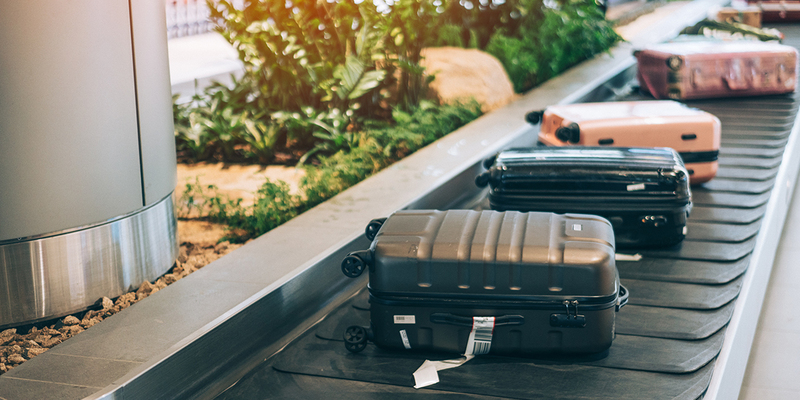 While carry-on bag guidelines vary slightly by airline, 22 by 9 by 14 inches is about standard, and those measurements include handles and wheels. Of course, carry-ons are just as handy on the ground for road trips or train travel, because they also fit well in the train’s overhead area and in car trunks. Hard cases tend to be more durable, but if you’re an over-packer or souvenir junkie, the soft-side varieties with exterior pockets give a bit more leeway for just one more snow globe. If you’ve ever tried to change direction quickly while dragging two-wheeled luggage behind you, you’ll understand the beauty of a spinner. 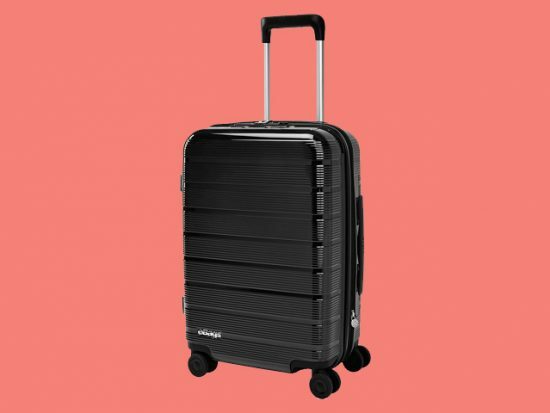 Spinner luggage has four wheels, which all turn 360 degrees, meaning the luggage can glide at your side nearly weightlessness as you whizz around tight corners and sprint toward your gate (or the nearest airport Cinnabon). But there are some caveats to this gravity-free bliss: Spinners tend to be less durable on rough terrain and more prone to damage than their more locked-in two-wheeled counterparts, so expect to shell out more money for a sturdy version. 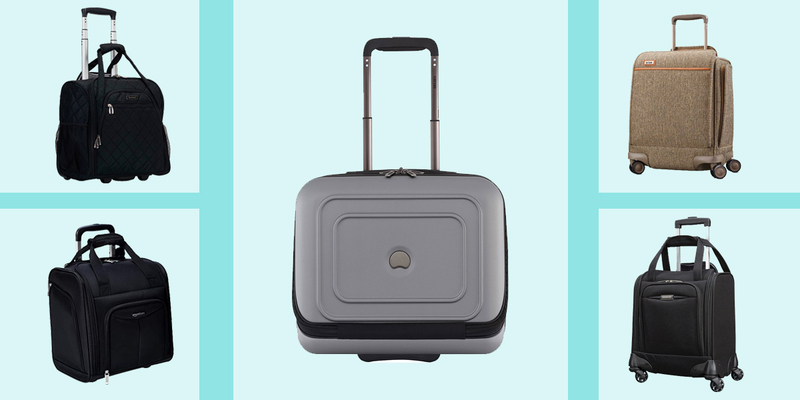 Also, the wheels tend to add weight and stick out, so you’ll lose a little interior packing space since wheels are included in baggage dimensions. 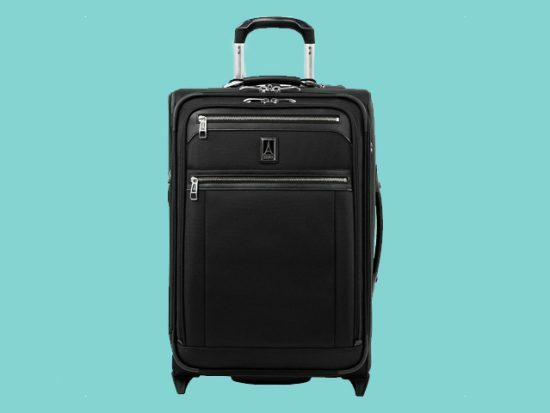 Spinners come in both carry-on and checked sizes, with soft and hard shell options. 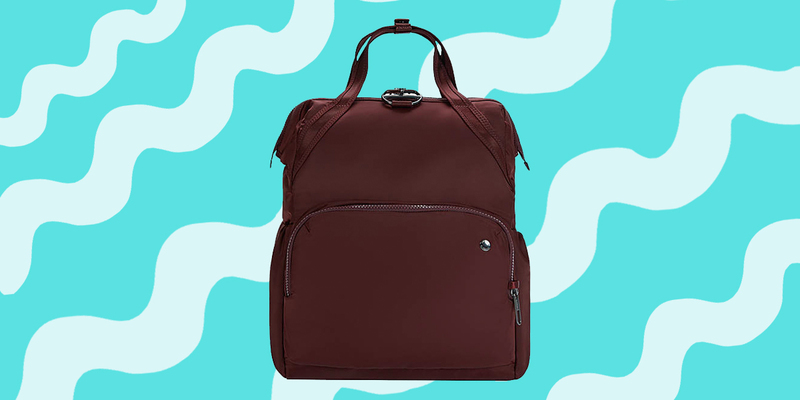 The darling of backpackers everywhere, a travel pack is basically what you’d get if a hiker’s backpack and a suitcase had a baby. Travel packs tend to be lightweight and durable with an ergonomic design (think metal frames and hip-belts), and a slew of practical details geared toward comfort and access while traveling. While travel packs are usually bulkier than the typical hiker’s backpacks, they can also be easier to pack with lots of front-loading styles. 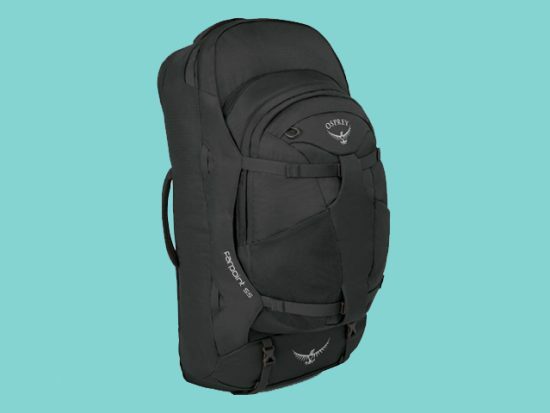 Some even offer detachable day packs, essentially a mini breakaway backpack for excursions. Plus, their straps tuck in so they don’t get caught in airline conveyor belts. The top-rated options tend to come from high-end outdoor manufacturers. What is a Weekender Bag? A weekender bag is designed to hold just enough items for a weekend trip (though heavy packers might be tempted to call it an “overnighter”). Size-wise, weekenders tend to lie in the sweet spot between a tote and a duffel bag. They’re usually oblong with two handles and sometimes a crossbody strap. Because they’re wheel-less, they’re not ideal if you’re packing heavy, but they’re great for weaving through crowded terminals or for throwing in the trunk of a car. 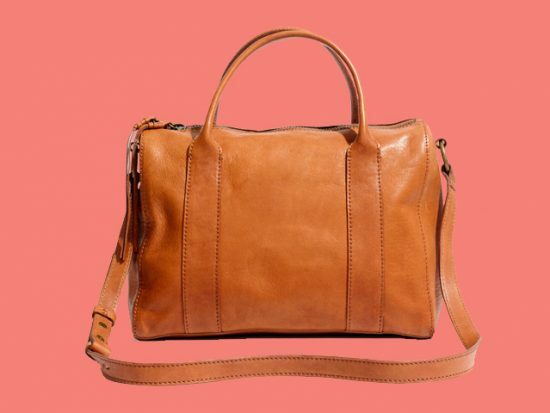 Practicality sometimes plays second fiddle to style—with a slew of leather, canvas, and monogrammed options from upmarket retailers like J.Crew, Madewell, and Kate Spade. And even if they weigh on our shoulder, we can’t help but love a weekender for being for a sophisticated statement piece. What is a Duffel Bag? 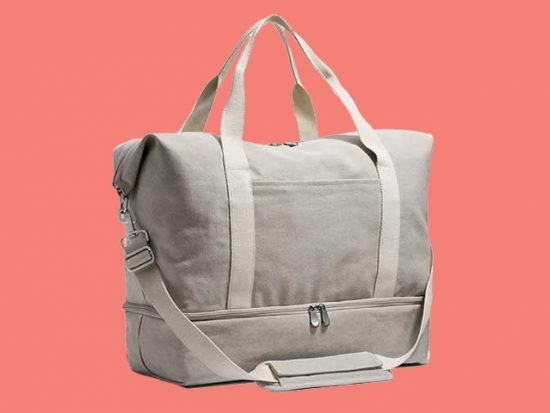 Duffel bags are soft-sided cylindrical bags that run the gamut from handsome weekender-sized pieces in canvas and leather to sturdy camping gear options made from durable nylon. While most have two handles and a crossbody strap, there are also a slew of rolling varieties—a shoulder-saving option for over-packers. 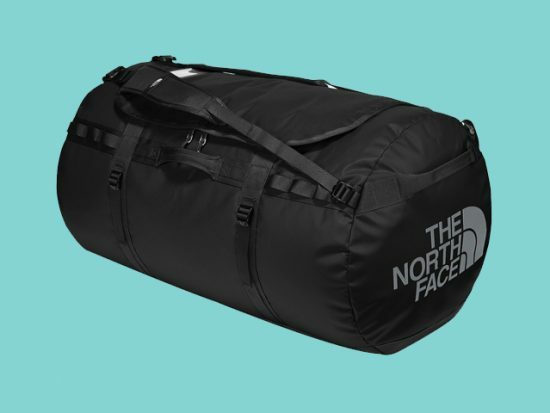 The main benefit of a duffel is that it has a wide opening that offers one roomy compartment. This makes it ideal for packing larger items, like sleeping bags, camping gear, helmets, or odd-shaped sporting equipment. And while many a meticulous traveler has carefully folded clothes into a duffel, they’re also a favorite of “throw-and-go” packers. A grandfather to the messenger bag and a brother to the briefcase, the quintessential satchel is a structured bag made of leather, with a history as old English school bags. (Picture the square, flap-buckled leather bags seen in prep schools.) That said, the satchel’s parameters are flexible to the point of being stretchy. A variety of backpacks, purses, and messenger bags can all be considered satchels. Though sometimes sold as weekenders, they do tend to be smaller, and are more likely to be used for work, a day trip, or as an airline’s “personal item” than for a weekend trip. As with the weekender, satchels tend to be fashionable and sophisticated, with loads of luxe models available. A Dopp kit is essentially a structured toiletry bag, traditionally made of leather. Originally, they were issued to soldiers in both World Wars, and they still have a bit of a “military man” look about them, especially when they’re paired with shaving gear. While they’re classically marketed toward men, women can make use of them, too, and often find their ridged sides do a great job of protecting bottles or makeup compacts. Modern varieties tend to be dapper, simple, and moderately sized with an easy zippered closure. Those who prefer more frills or space should consider going with a standard toiletry bag instead. A messenger bag is a soft-sided crossbody bag with a flap closure, traditionally used by, well, messengers. They’re especially popular in urban areas, and wholeheartedly embraced by many commuters and cyclists. (Bike messengers are evangelical about their favorite brands.) They’re ideal for work or everyday use. 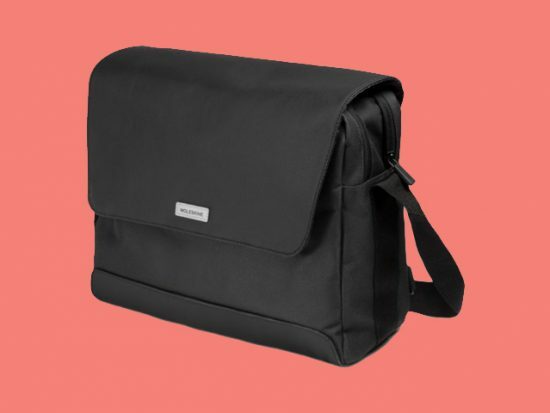 Men in particular seem to be big messenger bag boosters as they offer up a more casual alternative to the briefcase, yet they’re still a bit more business-appropriate than a backpack. Many of them fit standard laptops, too, perfect for the digital workforce that’s always carting their office with them to the local coffee shop. There’s a huge range of options, from durable canvas or nylon varieties to sophisticated pieces in worn leather. What is a Garment Bag? Going somewhere fancy? A garment bag is designed to keep your finest clothes dust- and wrinkle-free, and often features an attached hanger so your upscale outfits can go directly in a hotel closet without being unloaded from its carry case. While most garment bags are marketed toward men going on business trips in two-piece suits, last we heard, women also attend business meetings and want to avoid busting out the hotel iron. 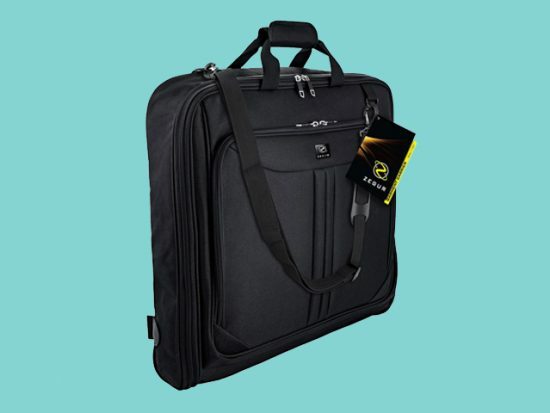 The most basic garment bags are simple sheaths, much like the type you get gratis with a suit or expensive coat, but some double as luggage, featuring space for multiple ensembles and extra pouches and pockets for all of your essentials. What is a Wheeled Backpack? You already know the short answer: It’s a backpack with wheels. (Duh.) But there’s a longer answer—it’s a rolling backpack that can be anything from a kid’s school bag on wheels to luggage you can lift up and cart around on your back, even in carry-on and checked sizes. 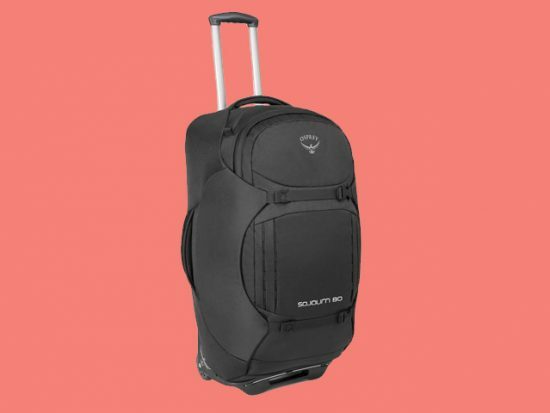 They can make great alternatives to traditional luggage for those traveling on extended trips or to a variety of destinations—over a variety of terrain. (Those spinner wheels won’t serve you on a rocky riverbed.) The most popular options are related to travel packs, and well-liked among backpackers. It’s usually worth the price to choose a quality wheeled backpack that’s ergonomic, lightweight, and durable. As with travel packs, outdoor companies tend to sell the sturdiest options.